The Early Head Start–Child Care Partnership (EHS-CCP) program, launched in 2014, is helping support child care programs that meet the Early Head Start performance standards but are designed to meet local needs and circumstances. EHS-CCP grantees partner with local center-based and family child care programs and leverage community resources to expand access to high-quality early care and learning for low-income infants and toddlers. 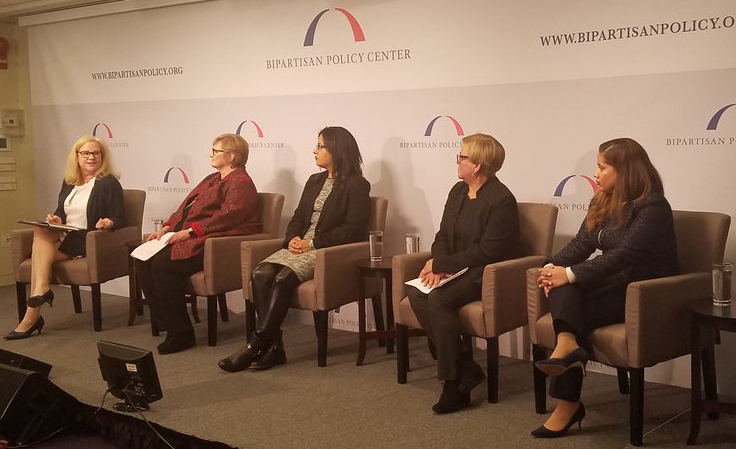 On January 16, 2019 the Bipartisan Policy Center (BPC), the Educare Learning Network, and the First Five Years Fund co-hosted a public briefing in Washington, DC, Early Head Start–Child Care Partnerships: Spotlighting Early Successes Across America, which was also live webcast. The event was designed to educate policymakers on the benefits, challenges, and impacts of diverse EHS-CC Partnerships as a key strategy to finance high-quality early care and education services for infants and toddlers. 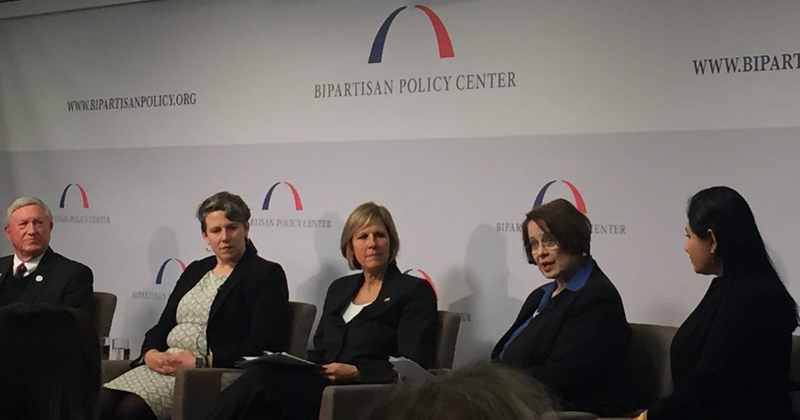 BPC highlighted the release of their new report on EHS-CC Partnerships, while the Network shared findings from its report, Lessons from the Evaluation of Early Head Start-Child Care Partnerships Across the Educare Network. The event also aimed to build momentum for advancing federal policy recommendations to improve, expand, and sustain EHS-CC Partnerships. The Educare Learning Network is proud to have 11 EHS-CCP grantees in our Network, working with a variety of early childhood providers, both home and center-based, in diverse coast to coast communities across the country. Our report highlights the lessons learned from these partnerships, providing guidance and recommendations for potential grantees. 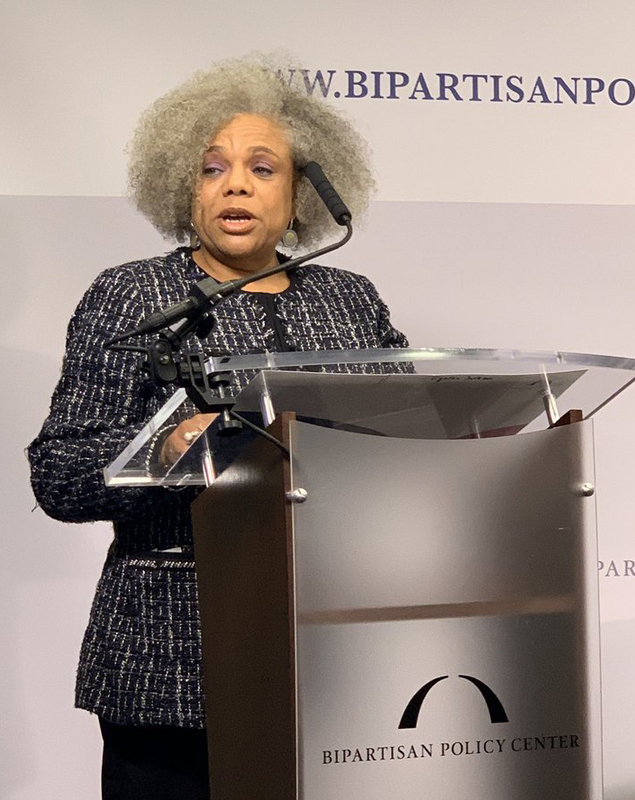 We’re also thrilled to have partnered with BPC and the First Five Years Fund to put forth a policy recommendation, titled The Early Head Start – Child Care Partnerships: Flexibility With Accountability , summarizing our shared work across the country and program recommendations.